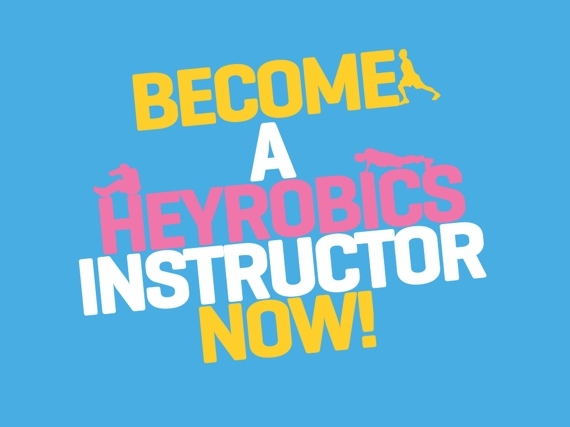 Become a Heyrobics Instructor! APPLY NOW! 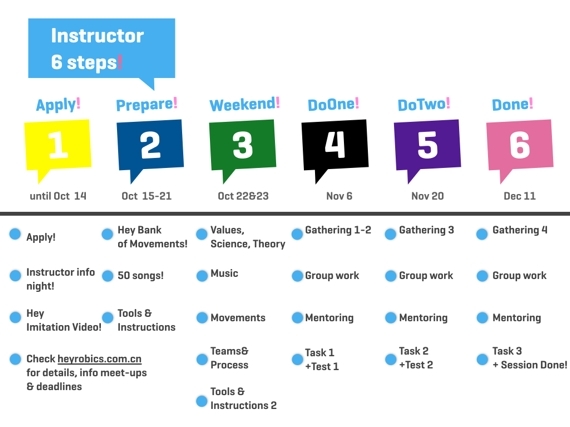 At Heyrobics we are currently looking for new INSTRUCTORS for our sessions around Beijing! If you are curious to know more, and if you think those PINK SHORTS would look extremely good on you. DON’T BE SHY, APPLY NOW! 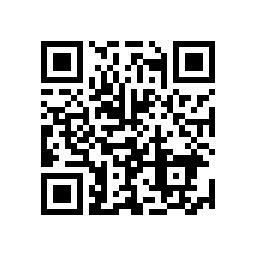 Scan the below QR code to apply! For more information, just drop us an email at education@heyrobics.com! Info meet ups (MANDATORY for all applicants!) scheduled for Oct 10th (Monday) at 20.00 @BSB Sanlitun. Applications close Friday, October 14th, so the sooner we hear from you, the better!!! 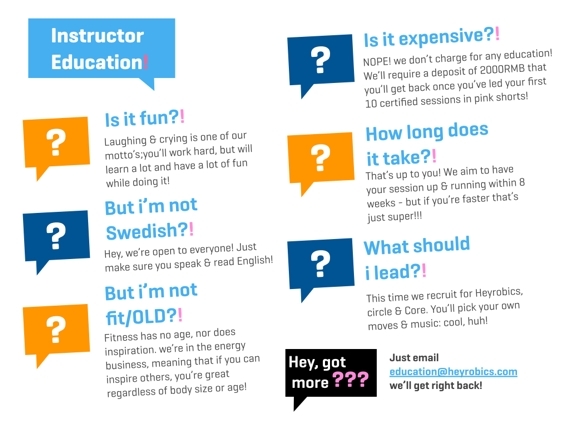 ← Become a HeyRunning Coach Now!